It’s Man’s most natural instinct: if you don’t understand it, fear it. 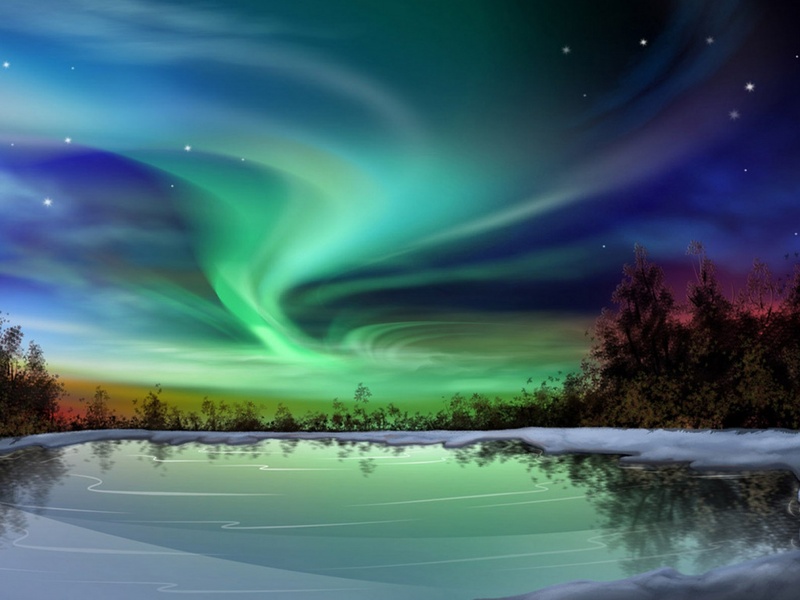 And since the beginning of time, residents of the Earth’s far north have been tormented by one of nature’s most glorious displays: Aurora Borealis, or the Northern Lights. Before they knew better, the Northern Europeans, who were always a little more into war, figured that the dancing lights were the flames of battles happening on The Other Side. For Canada’s Inuit, it was more complicated and their ‘skylore’ was a big part of their culture. There were several aspects to the Inuit beliefs concerning this multi-coloured light show. They believed that the spirit world was trying to communicate with them. They believed that the lights were the souls of the dead dancing to heaven. They even believed that the souls were playing soccer with walrus skulls (skulls being what Inuit children used to use for games). As walrus skulls are horned, it was feared that, if the lights came too low, the horns would slice people in half. While the lights can’t do us physical harm, we can be inconvenienced. These solar storms can fry a communications satellite in a flash. And they can send a powerful surge to power grids and blow up transformers—the most famous case occurred in 1989, when Quebec’s entire power grid was out for 12 hours. 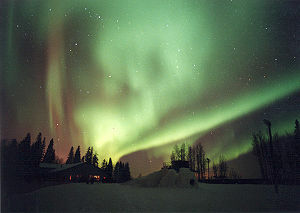 The Aurora Borealis (and the Aurora Australis, which are seen over Antarctica), are created when atoms and molecules over Earth’s uppermost atmosphere are charged up to fluorescence by radiation from the sun. There’s a storm on the Sun, a cloud of charged particles races to earth. That cloud leaks in to where the Earth’s armour, the magnetic field, is thinnest—at the south and north poles. When the storms are especially powerful, we can see the fluorescent particles. And the storms run in cycles, which is why we see them in winter. So now we know. Which is, in a way, a shame. This entry was posted in Environment & Nature and tagged Antarctica, Aurora, Canada, Charged particle, Earth, Inuit, Quebec, Sun.